- The configuration key is now saved after changes in the menu. - highscores are saved at present. - added the hold button to take a screenshot (stored in "home / Formido). I have just released a new version of the Gmu Music Player. The two most notable new features are internet streaming audio support and a graphical spectrum analyzer. DoomRunner is a new, modern approach to Doom. It uses a completely new, redesigned interface designed with speed and simplicity in mind. No more fussing with a bulky, slow interface! DoomRunner, instead of the traditional wad tree setup, has a new "profile" system that allows you to have up to 30 internal preference files that each have their own settings for wads, video, command parameters, etc. that's easy for new players to use! 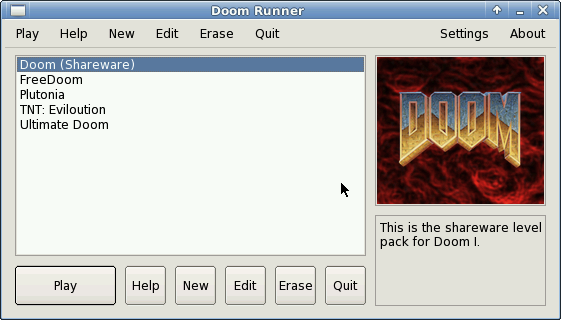 This package includes DoomRunner, PrBoom, and the Doom Shareware and FreeDoom wads. It also has a redesigned keymap, and is configured for the Pandora's native resolution. 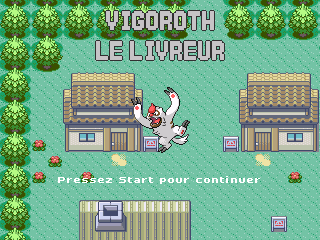 Vigoroth the delivery man is a group of 4 mini-games where you must help vigoroth to deliver packages. This version is to be used with GINGE (included in the pack). No need to launched GINGE, Vigoroth will run automatically. my port of pokemon mini emulator for dingux, original author "justburn". I have Dosbox so that the German characters adapted to the game buttons of Pandora, and the short story and the image of the "rotary wheel" that for r a RÃ ¤ needed riddles in formats available to the Pandora house protected from supported. A KOF remake by EGS Studios. Caanoo package by GECA soft. I have released an updated version of my Arch Linux image. I have preconfigured more things (like the touchscreen) and made it somewhat more user-friendly overall. It also comes with a pre-installed network manager tool (wicd). 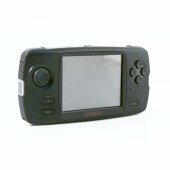 descriptionThe Gp2x family is getting a new member this Summer: the Gp2X Caanoo. While the volcano IS spitting ash, we're still too busy working ourselves through all the PCBs we got to even realize a delay in PCB deliveries. So unless every transport method is cut for the next week, nothing bad will happen. Anyways, back on topic, as you probably would want to know what happened during the last weeks and months. A lot has been going on behind the scenes and now I'll try to summarize it all. 1. What's the status of the first batch? We're just round the corner for the last 1000 PCBs of Batch 1. While this doesn't mean that 3000 units have been delivered (we also need to check and build the PCBs into cases, don't forget that), more than half of the Batch 1 units have been delivered, and deliveries go on. There wasn't a week where no Pandoras had been delivered, we just test, build and ship out continually. There was a slight drawback as a lot of units suddenly had a new error with WiFi that we never had before, but those boards are already back to be fixed as well. CircuitCo is not just producing the remaining PCBs right now, they are also fixing boards that had issues from the very beginning in parallel. Some of the unrecoverable boards might be sold to you for a cheaper price. It might be there will be boards that work but a couple of buttons are not usable, etc. We'll see about that, first we need to see how many broken PCBs there will be in total. Note: If you check various sites about PCB production, it's normal having about 10% of boards that need to be fixed if you do a production run with such complicated boards, so we're pretty much within that range. I'm sorry that I can't tell you any accurate numbers here. As you might've seen on the boards, I tried to do so. I really did. But it eats too much time. Too many different factors are involved, like the amount of boards with issues, the amount of boards produced, the amount of boards RMA'ed, etc. Believe me: It's not our intention to hide anything from you, it's just too much additional work. And we're pretty much stuffed with work right now anyways. The shipments will continue and as soon as there are bigger issues, we'll let you know, don't worry. 2. What's the status of the second batch? The second batch is currently being prepared, parts are being paid and delivered. Batteries have already arrived. Preparations for Batch 2 take about 1 month, and that's probably the time needed to produce the remaining PCBs of Batch 1 and work on the boards with issues. With Batch 2, we introduce a new board revision of the Pandora, Rev6b. Don't worry though, the functionality will be same as the current Rev5, but some things have been changed to improve the production process (i.e. increase the size of some soldering pads that were causing issues with Batch 1, improve the placement of the shoulder buttons to save a lot of manual labour, etc.). So we'll have fixes here to improve the production process. This was possible since we had quite a few issues with Batch 1 PCBs that kept repeating. This surely is a clear sign to improve the layout in that area. 3. What about the Premium Pandoras? If you haven't had the time to follow the boards recently, you might not know what these 7-days-Premium Pandoras are all about. Why should someone get a Pandora earlier if he paid long after a preorderer? Well, we didn't like the concept for the Premium Pandoras ourselves, but in fact they help everyone and we didn't have much of a chance. All the issues we didn't except also did cost money. A LOT of money. Each Pandora does cost us about 400 USD just for production because of that - and that's way more than we sold it for. We could've just continued to deliver all the units, hoping no one would want any refunds, hoping to get the PCBs faster, hoping to not run into any other issues that cost money, etc. We could've continued - but it would've been a risky business, and if we ran out of money, it would mean NO Pandora anymore for anyone and NO money back. That wasn't an option for us. So we decided to go the safe route and get some money using the Premium Pandoras. And yes, it certainly helps A LOT. Of course, Premium is not just an option for new customers. Existing customers can pay the price difference between their original paid price and the new Premium price and therefore also get the unit right away. Just contact the shop where you bought it. And most certainly, you are not FORCED to pay more. You can also wait. Both normal and premium orders are shipped out, so if you're not in a hurry, you will get your unit for the originally paid price. 4. What about the OS? We as well as devs from the community are also working on improving the OS. As more and more non-dev users get their Pandoras, it's pretty clear that the usability has to be improved and the Pandora should become more userfriendly. Work has already been started. PNDStore exists as an optional application. It connects to the internet and can automatically install new applications as well as update existing ones. It's just click and select. The GUI is a basic GTK one right now and lacks some features, but it is fully working already and currently heavily being worked on. It will also be included into HF6. So once HF6 is out, you can install games by simply running PNDStore and selecting the game you want. Of course, if you don't have a WiFi connection, you can also download the PNDs on any PC and put them onto the SD Card as well, just like before. MiniMenu will also make use of these features, so MiniMenu will not only be a program launcher, it can also be used to install and update existing programs as well. Thanks go to all the devs involved in developing that system. Craig also wants to work on his own solution to make the Pandora more userfriendly. Once that's finished, it will also be include in the OS. It will totally be your choice of what you want to use. I've also started to work on a small Quick Start Tutorial new users can start either with the First Start Wizard or anytime later. This will explain the basic features of the Pandora and will make it way more easier for new users to use it. Besides userfriendlyness, HF6 will also get some bugfixes and improved battery charging and handled (thanks to WizardStan for his help here!). HF6 will most probably be the last Hotfix before we move on to a major new OS version, based on the lates main OE (OpenEmbedded). A first version is already up and running and we will do active testing and bug finding now. As you've read above, we had some repeating issues with PCBs during production. The most annoying one was the batch with the boards where WiFi wasn't working. I am currently working together with CircuitCo to improve the testing routines. A lot of PCBs passed simply because some things have not been tested. For an example, the WiFi issue: The current test initialized the module. If that worked, the WiFi test succeeded. Not much more was needed, as the module handles everything itself. This worked fine for the first 2500 PCBs - and then suddenly there was an issue with a batch of boards where the modules initialized but couldn't connect to any networks. Therefore, we improved the WiFi test to also connect to an AP and download a file. Takes a few seconds more, but will prevent that issue. There were some more repeating errors we didn't expect, so the testing setup has been optimized to prevent more and more errors. It's a learning curve, and there will always be issues you would never expect. The main importance is to react to these errors and improve things. And that's what we're currently doing. I've also setup a webcam where you can watch me work on Pandora PCBs every now and then. I can't tell you when it's on, as I work on them when I find the time, but I always post in IRC and at the boards when I go online. There's also a nice article on The Escapist about the Pandora. I can only repeat myself: Thanks to EVERYONE helping us out here. Devs, the community, the preorderers the premium updaters and new customers. You all help us to keep going, and almost everyone who got a Pandora agrees that it was worth the wait and all the work! 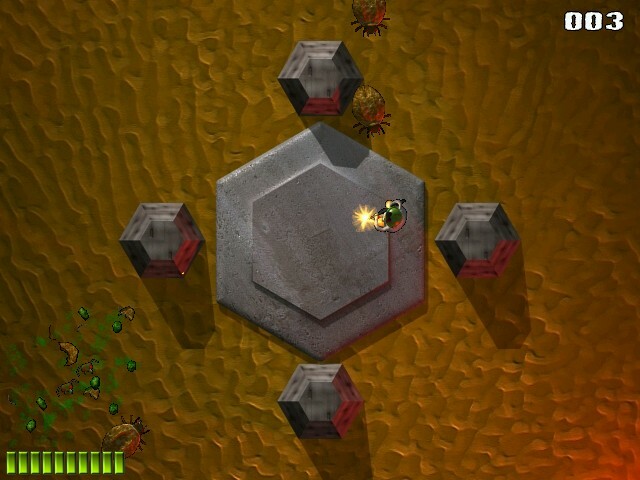 Barrage is a game created by lGames. Your objective is to destroy as much as possible enemy units. 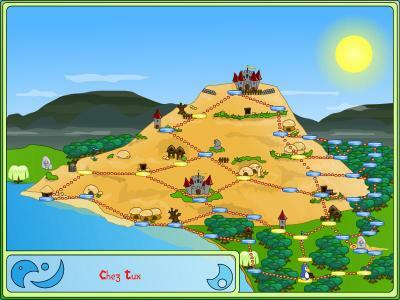 2D shooter from bird's-eye view on your Dingux! Hi, this is my new port named Formido. This game was created by Mika Halttunen. Added Mac OS X to README and cleaned up whitespaces in LICENSE. 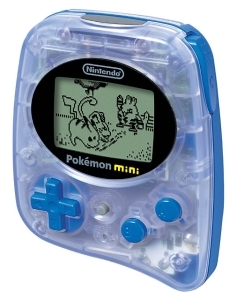 I have decided to organize a cross-platform coding competition for our favorite handhelds. Of course, every competition must have some conditions, and this one requires you to team up with one or more of your fellow members to produce a game. We hope this will bring people together and spur collaboration across platforms and professions. There is no limit to genre, but it has to be a game, new and original, so no ports or emulators. You can submit a game for the following platforms: Pandora, Caanoo, Wiz, Dingux. You can also submit your game for several of the platforms. I have put up 100 euro to the winner and I hope you will donate more to the prize pool, so we can provide prizes for 2nd-4th place as well. The prize pool is common between the platforms. You have to submit by the end of 25th June 2011. Details on how to submit will be posted on the website later. Members of the communities will rank their favorite games, and this will be used to determine the winner. After the submission deadline, all games will be made available for download, and members of the community can rank their favorites until end of 8th July 2011. The winners will be announced 10th July 2011 and will receive their prize on 17th July 2011. Some of you might've seen that I was a bit unactive during the last week. I've still got so much work to do. Besides building Pandoras (which I will also do this weekend), I had so much to do in my normal job, so I didn't have much time to post. Anyways, some good things have happened and I want to inform you about those for sure. First, the first 2000 of the new LCD cables have arrived. They have been built by a company that is specialized on flex cable production. Some of the biggest notebook manufacturers worldwide are their customers. These guys optimized and extensively tested the cables - this should be the final end of the purple tint of death! Click on the picture for a bigger view! About 1000 of those will be used for the last units of Batch 1, the next ones are for the first 1000 units of Batch 2. Speaking about Batch 2: The next 4200 batteries are on the way to Craig via sea and will arrive early May. Next, onto what CircuitCo has been doing. They continued with their weekly shipment of boards, which is something I'm really happy about! Last weeks they shipped 150, this week, it was 200. Also, thanks to the boards we sent back that had issues when we got them, they optimized their testing process to ensure that all boards they are shipping to us are working now. The debugging and fixing of broken units also made some big steps: Quite a number of boards had the same issues. They found out for most problems what part caused that issue and can therefore now repair all those boards without too much hassle. With todays shipment, a total number of 2703 boards has been shipped to us, about 200 were broken (mostly due to the old nubs) and are currently being reworked. - PCSX4ALL 2.2: New version of this PSX emulator for WIZ and CAANOO, with some optimizations in GPU and SPU and some compatibility improvements in HLE and GPU. - MAME4ALL 2.6: New version of this MAME port for WIZ and CAANOO, with TV-Out support for the WIZ and a CAANOO port based on Simon's one but it runs a bit faster. They are available for download in my new Web Page. First shown in Retro Encounter. 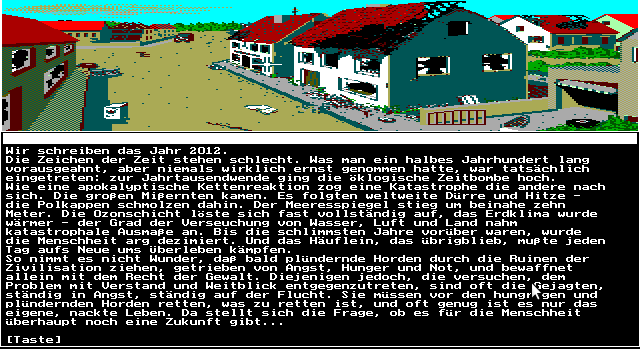 After some failures (note the plural), converting GL games to GLES, here is a success : Mole Invasion. What's new in this version is better button handling while in menu and proper vsync support thanks to notaz SDL. PS: Use space while ingame to open the emulator menu. Just released, a small MOD of Psx4all for Dingoo A320 / A330 DT.